When did you arrive in Forest Hill? I moved to Forest Hill at the age of 4 in 1978, and have lived in a number of houses and flats around Forest Hill, on both sides of the railway. I now live in the same road that I moved to more than 30 years ago. What made you choose Forest Hill as a place to live with your family? Initially that was down to my parents. However I met my wife, Anne-Marie, in the sixth form of Sydenham School (we weren't married at the time) and we eventually chose to rent a flat in Forest Hill. We both grew up the area and have many friends who live in the area or close by, and both our sets of parents continue to live in Forest Hill. When did you join the society? 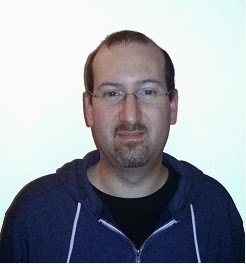 I was one of the founder members of the Forest Hill Society. We met in the Dartmouth Arms in May 2006 after discussions on SE23.com. I chaired the Society for a couple of years before stepping down but I stayed on the committee and, when Richard stepped down last year I took the opportunity to stand again for Chair of the Society. I'm very proud of what we have achieved in the last 7 years and want to make sure we continue to find new ways to improve Forest Hill. 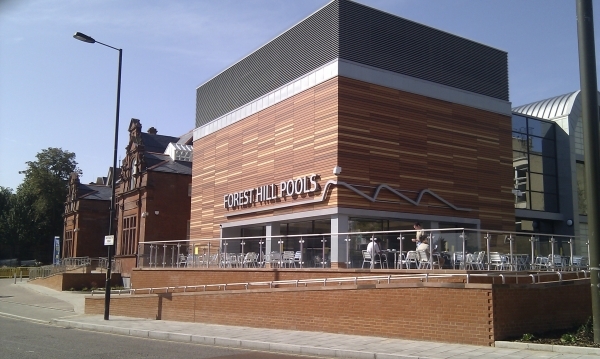 I had always felt that Forest Hill lacked a clear voice and the closure of the swimming pool in 2006 was the main driver for local people to set up the Society. Other than the swimming pool, my main reasons for being part of the Society are to improve the high streets and to create a greater sense of community and shared pride in where we live. What are the main things that the Forest Hill Society have achieved since you joined? The swimming pool campaign was our main focus for a number of years. Had it not been for the tenacious campaigning by the Forest Hill Society and other groups, I don't think this would have happened. Last year the Food Fairs took up lots of the efforts of the Society and partially as a result of this we now have a weekly market at the Horniman (not run by the FH Society), and at least two new shops on the high street. What has been your proudest moment in the society? Seeing the swimming pool built was wonderful. Swimming in the pool on the 15th September 2012, and attending the official opening a few weeks later, were certainly very proud moments – and the culmination of years of hard campaigning by local residents. How has Forest Hill changed since you moved to the area? It has changed a lot. We used to have at least three greengrocers, a fishmonger, cheese shop, health food shop, toy shop. But things changed on all high streets and after some bad years (mid-90s to mid-00s), the high street has definitely picked up in the last few years. The other big change is the Horniman. When I was a child it was a 'dusty old museum', today it offers so much more for visitors. I'm sure part of this is my perception now that I have a young daughter, but I think the team in charge of the Horniman have done a fabulous job to improve and extend the museum. What are you main priorities as Chairman moving forward? It would be really nice to do something to make Forest Hill more friendly to pedestrians, or at least more attractive in the public spaces. Unfortunately this is not something that is easy to achieve and we need to find appropriate sources of funding. I also want the Society to continue to enable local people to make things happen. 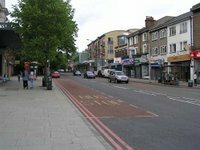 We have been involved in a number of groups that have started off small and have made a difference to the local area separate from, but supported by, the Forest Hill Society. If you have ideas about making the place better, get in touch and we can help you to find a way to make it happen. What's your vision for Forest Hill as Chairman? Long term I want to see a redeveloped town centre – the space around the station and underpass on both sides of the railway. And I want to see the Bakerloo line extended underground to South East London – it doesn't have to be Forest Hill or Honor Oak, but either one would be my preferred route. But most importantly I want everybody in Forest Hill to feel part of the community and to feel proud to live here. I think that is what being a member of the Forest Hill Society is all about.